Financial planning is always advocated but little has been said about how to really relieve financial burdens in life. What we are mostly taught is to go to school, get a good job, save money and then plan for retirement. This is not wrong and in fact it is a very important first step in financial planning but what's next? Today, I will attempt to discover a new way of financial planning which will definitely relieve your financial burdens in life. In fact, you'll realise that this is the way which the government in Singapore has been managing its finances to create a financially sustainable Eco system as Singapore has little to no natural resources to begin with. If we can imitate this and manage our personal or family finances in the same way, the money we have can perhaps last many generations to come. There is a lot of wisdom to how the Singapore government manages it finances. They do not just create income and then spend it. This is definitely not a financially sustainable way to manage money. How they manage money is to create funds and use the interest generated from the funds to cover some of the expenses which are needed. This can range from social assistance to healthcare and also the net investment return contribution (NIRC) which was talked and discussed quite substantially during the budget earlier this year. There is a lot we can learn from this method which I will elaborate later. 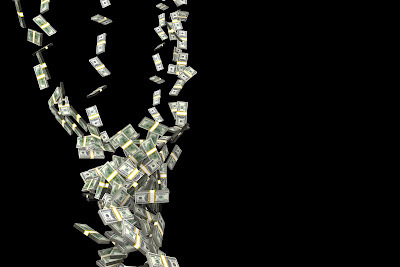 Let's dive deeper into the government's way of managing money so we can learn from it. The investment returns of our reserves supplement the annual Budget through the Net Investment Returns Contribution (NIRC). The NIRC is estimated to be S$14.1 billion in Financial Year (FY) 2017, or 17% of our budget. There are a lot of debates to the NIRC which I will not go into in this article. What we can see from how the money is managed is that the government has saved up quite substantially over the past few years and have quite a big reserve to invest and generate investment returns to pay for various expenses which we have. This is probably one of the reason why we still can have one of the lowest tax among major economies around the world. An example on what investment returns are used to pay for is the social assistance schemes under the Ministry of Social and Family (MSF). To date, MSF has a community care endowment fund of $1.9 Billion and able to generate $57.5 Million in interest to pay for various community care programmes to help the low income and those who need it too. As we can see, the interest income generated from the fund is used to fund the various social programmes to help the needy in Singapore. How we can create a fund to relieve our financial burdens? We can also definitely set aside a fund and generate interest income to pay for some of the expenses in our life. Currently, what is being advocated in the financial planning world is just to put aside your money to invest for retirement. Most of the products out there only just lock up our money for many many years before we can use it for retirement. Some people end up surrendering their policies early because they could not pay the premiums anymore. At a 6% interest, $300,000 set aside can already yield us $1,500 per month. I suppose this can offset some of the basic expenses which we have. If you have a family, most likely a fund of $500,000 generating 6% interest will be quite comfortable as it brings you $2,500 per month. The key is to set aside this amount of money early in life which I would think is not difficult with a good income and modest expenditure. You can take a reference to the above table and plan how much to set aside accordingly to your needs. You might have questions on how to generate this 6% interest? It is actually not hard to find investments that can yield dividends. The key is to pick the right ones which will be sustainable. REITs and some blue chips stocks can be considered. Take for example Capitaland Mall Trust which currently yields about 5.5% at a price of $2.03 or Suntec REIT which yields 5.89% at a price of $1.70. Of course, we still have to research and analyse whether the dividends will be stable in the long term and whether we are buying at a good valuation. This is like buying a property and making sure we buy at a good price and looking at its rental potential to generate rental income. Blue chip stocks such as Singtel is also yielding about 5.50% currently at a price of $3.19. At 5%, a $500,000 fund will still generate an income of $2,083 per month. This is still not a bad amount to have as it would definitely relieve some of the expenses which we have. The beauty of this strategy is the fund amount is left untouched and may even increase as the investment grows. At the same time, it provides an income to offset some expenses while we are still working. In this way, if we are prudent in our expenses, we can still continue to save more of our full time job income without having to sacrifice the quality of life. If you have a partner and both of you are working, you can actually set aside this fund much easier than those who are single. It is really about delayed gratification in the first few years to build up the fund and then it'll be much easier in the future. If we spend all our earned income without putting aside anything, then we will find ourselves still struggling in life as we age. Is this what we really want? I hope this article gives you an idea how you can plan for your own finances or how you can plan your finances as a couple. Like Singapore which has no natural resources, most of us also do not have "natural resources" which we can tap on unless you are born in a rich family which has unlimited cash to spare. However, we can follow the Singapore's government footsteps to create our own reserves and generate interest income to pay for some of our expenses. This seems to be a financially sustainable way to manage our money to last for a lifetime and perhaps for many generations to come. REITS Are Falling - Will This Continue? REITS have been falling lately and my portfolio was not spared either. There are a few reasons to this which I will simplify and explain in this article. Investing in REITS have been a favourite among investors due to its income generating feature which provides good dividend income for investors. Typically, we can look at around 5%-7% dividend yield investing in REITS. Will this be sustainable going forward? REITS are required to payout 90% of its taxable profits to shareholders in the form of dividends. As such, they have little left at the end of the day and thus have to take on more debt to boost their returns. This is the nature of a REIT's business. All debts have interest payable just like we pay interest on the loans we take up. When interest rates increase, the interest expense which a REIT has to pay generally increases as well. There are some strategies to mitigate this which we will look further into later in the post below. The increase in interest expense reduces the cash flow that is available to pay shareholders and thereby reducing its distribution income and the dividend yield. 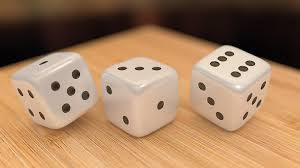 Building up from the above factor, as distribution income and dividend yield reduces, it makes REITS less attractive as an investment bearing in mind the risk which is involved as compared to safer assets like bonds or fixed deposits. Furthermore, in a rising interest rate environment, those safer assets such as bonds or fixed deposits have their rates increased as well thereby making them a more attractive investment option. This is called the risk free rate. If you've not noticed, there are many alternative safe investments out there now. Additionally, the rates which these safe investments give are going up as well. Just take a look at Singapore Savings bond which is capital guaranteed and still have the flexibility to sell anytime without losing any capital. The interest rates it gave earlier this year was about 1.2% for first year but it has risen to 1.72% for the June issue. If you put your money there for a period of 10 years, the average return per year is at 2.63%. Not bad for a capital guaranteed investment. For REITS, we still can get higher dividend yield at more than 5% but the question is will people want to take the risk to get that additional 2%+ return? From the subscription rate of the Singapore Savings Bond, it is oversubscribed every month for the past 3 months. This shows that people are rushing in to invest their money inside There was another bond which was launched by a Temasek Holding subsidiary, Azalea Asset Management. It offered retail investors a coupon of 4.35% per annum which is really quite high. Even though there should be higher risks associated with this kind of high yield, the bond was still oversubscribed by 7.4 times which again shows the interest of the retail investors in this kind of higher yield investments. All these alternative high yield instruments started to come most probably because of the higher interest rate environment as well. In a rising interest rate environment, it actually signals the recovery of the global economy and these government or privately owned funds are more likely to issue bonds to raise money because they are more confident of getting back a higher return for the money they borrow. Another capital guaranteed interest generating instrument, the fixed deposit accounts, have been neglected for quite some time now due to the low interest rates environment. However, if you notice, banks have actually started to raise their fixed deposit rates again. I just checked and saw that DBS 1 year fixed deposit rate is at 0.60% now. I think it was lower just a few months back. Banks are in the business of loans and they have been raising their rates for mortgage loans as well as for other loans as well. The demand for loans have probably picked up as the property market recovers and also better business environment for businesses to expand. The banks are willing to raise their interest rates they give for deposit accounts in order to get more money to loan out at a higher rate. How To Check If Your REIT Will Suffer? What we essentially want to check is in the balance sheet. Fortunately, we don't have to calculate or dig the financial statements as most REITS regularly report their debt profile in easy to read slides. There are quite a few terms which may be new to some of you. Let me explain more in detail as simply as I can. Let's start off with this REIT called Frasers Centrepoint Trust (FCT). I like this REIT a lot because of its defensive nature. Its malls are located in the suburban areas such as Causeway Point in Woodlands and Northpoint at Yishun. Below shows one of the slides which FCT has for its Q2 2018 financial results. 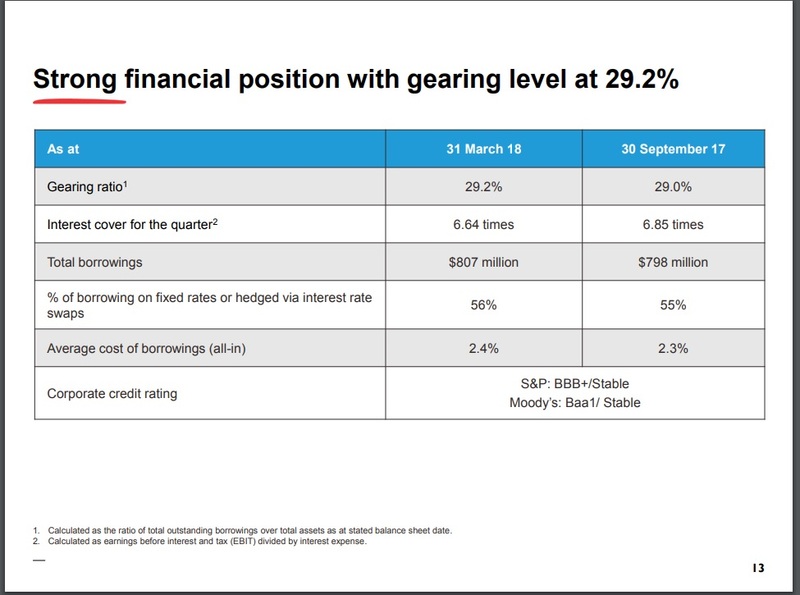 We can see the gearing ratio, the interest coverage ratio, the percentage of borrowing on fixed rates and average cost of borrowings etc. 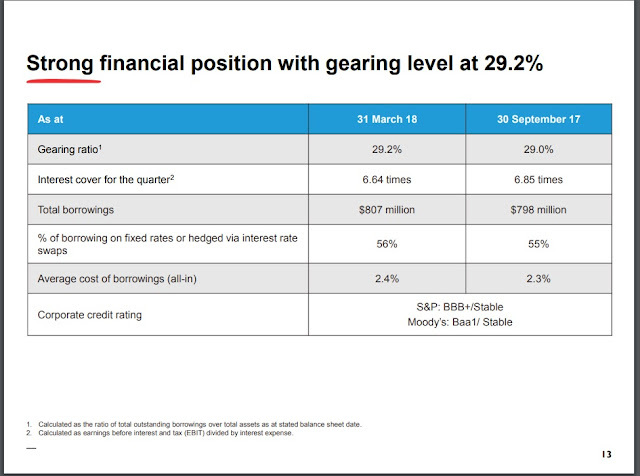 One look at the slides, we can see that FCT gearing ratio is at 29.2% which is not too high for a REIT. The gearing is calculated as the total outstanding borrowings over the total assets. It has 56% of its borrowings on fixed rates which is quite low in my opinion. I've seen most other REITS already have more than 70% of their borrowings on fixed rate. 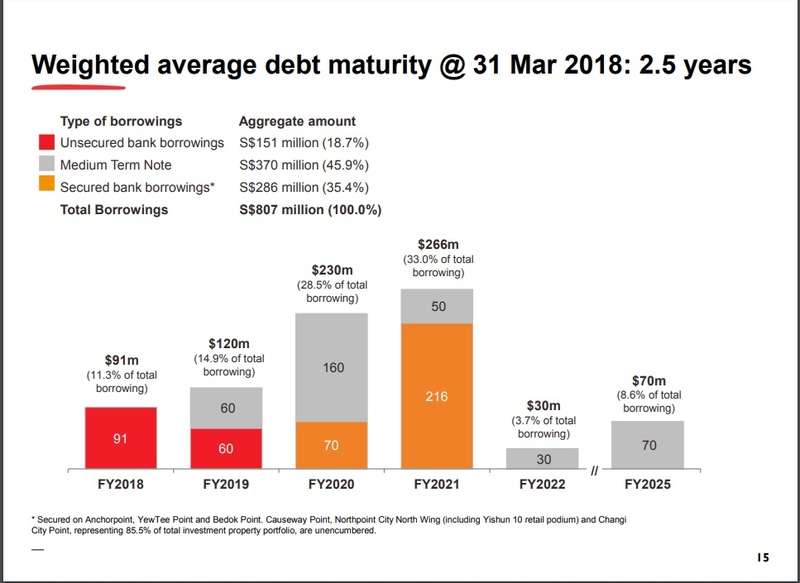 However, this also explains why the average cost of borrowings for FCT is only 2.4% while if we compare for another similar retail REIT, Capitaland Mall Trust, their average cost of borrowing is higher at 3.2%. For its interest coverage ratio, it is 6.64 times which is quite good. For interest coverage ratio, it is calculated as the earnings before interest and tax (EBIT) divided by interest expense. This means the lower the ratio, the more the company is burdened by debt expense. This is expected to be lower when interest expense increases due to higher interest rates. The last thing we should be looking at is the weighted average debt maturity. For this, most REITs would have a slide as well which is easy to refer to. The reason why we have to look at this especially in rising interest rates environment is because when the debt is about to mature, the company will have to refinance its debt. During rising interest rates environment, refinancing will definitely be more costly. We can expect the interest expense to increase once the debt matures and it is refinanced at a higher interest rate. On the other hand, some REITs may choose to pay down its debts if they have the funds to do so. For FCT, it has $91m of borrowings maturing in FY2018. These are unsecured bank borrowings. With the banks already raising their rates, if FCT were to refinance this loan, the interest will most probably be higher. REITS Prices Are Falling - Will This Continue? I would think there are actually opportunities to invest in REITs again as the prices continue to fall. We just have to evaluate and make sure we buy at a discount to NAV and also take into consideration that dividend may fall in the future as interest expense increases. We can also take reference to the risk free rate such as the 10 year Singapore government securities bond which is known to be default free. Using this rate, we can determine the yield spread of REITS dividend vs this risk free rate. There are people who use standard deviation to determine a good price for REITS but I will not go into this which is too technical for this post. In simple terms, it is just to gauge the attractiveness of the dividends given by a REIT as compared to the interest we can get in a default free asset. Some REITs are managed better than others so its important to separate the good from the bad. By looking at its balance sheet, it will tell a lot on how the management is prepared to handle this rising interest rate environment. Just look through the slides of a few REITs and I'm sure you will be able to see it for yourself as well. Want to learn more about dividend investing in REITS and how to value them correctly? Check out this online REITS masterclass here. Long Term Healthcare Cost In Singapore - Are Subsidies Enough? In a previous article, I wrote about the real issues which people face when having to care for a family member with disabilities at home. You can read the previous article here. Also, as what I have said previously, the purpose is to bring the issues of long term healthcare cost to the government. I have managed to contact the Agency for Integrated Care and Ministry Of Health and I attended a session on the enhanced Eldershield (Careshield life) to learn more about it as well as give my thoughts on the recommendations. In this article, I will dive into the various subsidies available for this group of people and whether they are adequate? Also, I will talk about what we can possibly do to prepare for the future in the event if this happens to us or our loved ones. Based on the above statistics, this is almost 20% of the population with disabilities. It was further added that persons with sensory (blind and deaf) and physical disabilities would constitute half of the disability group. The remainder comprises those with Intellectual Disabilities and Autistic Spectrum Disorder. Furthermore, the committee in-charged of reviewing the Eldershield scheme estimates that 1 in 2 healthy people age 65 today run the risk of becoming severely disabled before they die. This is quite a high percentage and I can imagine if nothing is done in the future, it will be a disaster. Subsidies Available for Long Term Healthcare cost - Are they adequate? There are various subsidies available which can alleviate the financial burden of those who need it. To be honest, AIC and MOH has done a good job to try to set up a system and compile the information for subsidies into one place. Most subsidies can be applied through a medical social worker who will be assigned to each patient. All hospitals including community hospitals have full time medical social worker for this purpose. If you need subsidies for long term healthcare cost, do remember to approach one at your hospital. The normal levy which is required to be paid for hiring a maid is $265. However, if we are hiring a maid to care for a family member with disabilities, the concession levy will be only $60. EASE is a subsidised home improvement program offered by HDB. Improvement items such as grab bars in the toilet, slip resistent floor tiles and ramps can be installed to make your home more elderly friendly especially for persons with disabilities. If you're eligible, the cost is reduced from $2000+ to $100+ only depending on your HDB flat type. You can refer to HDB website here for more information. This ILTC is the most common form of subsidy which covers both home care services such as home nursing and home therapy and residential services such as community hospitals and nursing homes. 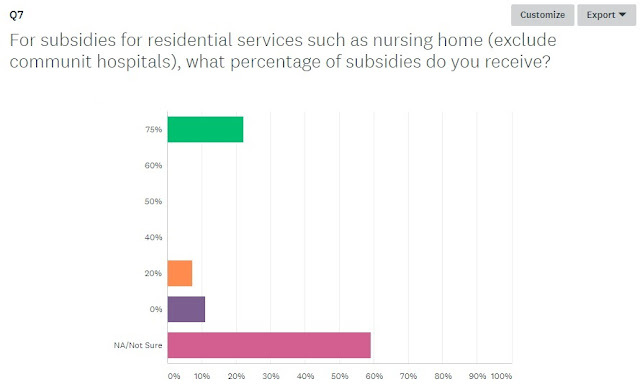 What you can expect is at least 20% subsidy for nursing home if your household per capita monthly income is less than $2600. For home care services, it is at least 30% for household per capita monthly income of $2600 also. You can refer to the subsidies for ILTC here. As much as there are subsidies already available, the cost is still a huge burden for families. Nursing homes in Singapore cost somewhere between $2500-$3000+ per month. Even with a 20% subsidy, the cost is still at around $2000-$2500+. Most nursing homes fees also do not include disposables such as diapers. The cost above is per session and before subsidies. After a 30% subsidy, as you can see, the cost will still be high. The CHAS is essentially a card to get subsidies when we see a doctor at a private clinic. There are 3 different types of card namely the CHAS blue card, the CHAS orange card and the CHAS for pioneer generation card. The blue card is for low income households with household monthly income per person of $1100 and below while the orange card is for households with monthly income per person of $1,101 to $1,800. For pioneer generation, there is no income criteria so as long as someone qualifies as a pioneer generation person in Singapore, he or she will get all the CHAS subsidies. There are subsidies for common illnesses, chronic conditions and even dental services. For more details on the scheme, you can refer to the CHAS website here. The SMF is a fund which subsidises 3 groups of items and services. They are home healthcare items, assistive devices and transport. For home healthcare items and assistive devices, the income criteria is household monthly income per person of $1800 and below while for transport it is $2600 and below. For more information on the SMF, you can refer to AIC website here. 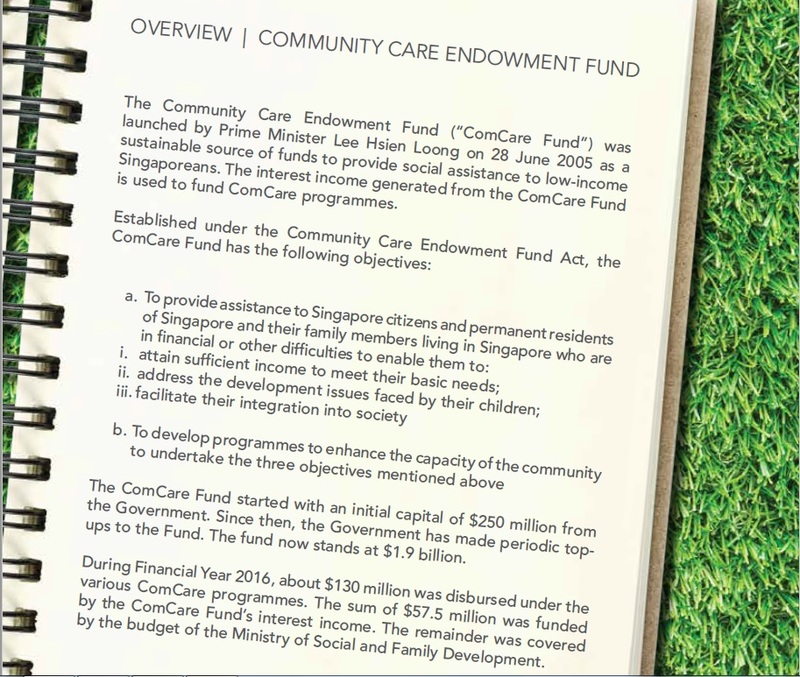 Indeed there are already various schemes which act as social safety net to support those who are burdened with long term healthcare cost in Singapore. However, I would think the schemes mostly benefit more for the extremely low income people only. For those with middle class income, it is hard to get help on this. 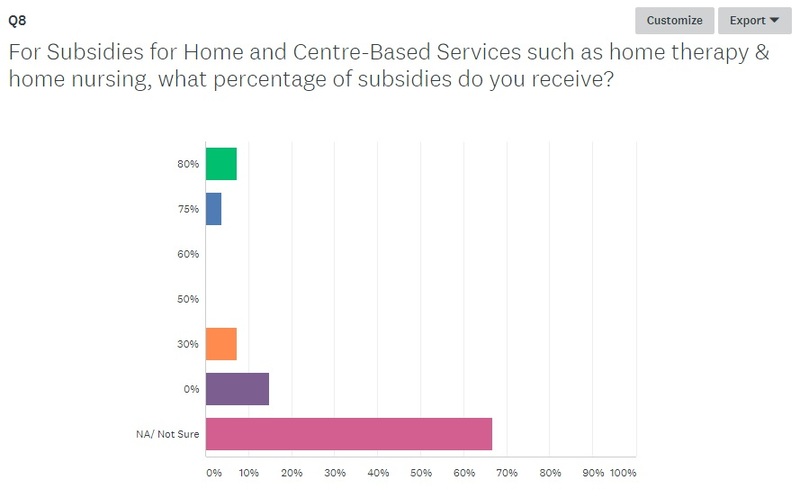 In a survey which I conducted previously, I asked the percentage of subsidies which people receive for the most common scheme which is the ILTC. To my surprise, most people do not receive or do not know such scheme existed and a minority get low subsidies amount with some lower income households getting higher subsidies amount. For middle class households, the financial burden and stress is real. Some are just slightly above the income level criteria and most of them are in situations where their parents become disabled suddenly and the children have to take up the responsibility. While the children want to give the best for their parents, they also have to plan ahead for their future especially with the high cost of owning a home and also having their own children in Singapore. To me, it is a negative cycle that if more and more people are caught up in this situation and the young adults cannot move ahead in life, there will be more social problems in the future. While we hope for more schemes to support those with disabilities, we may also do our part especially if we are still healthy now. Getting hit by critical illness and becoming disabled is more real than we think. Firstly, we can look into getting Eldershield or disability income insurance. Eldershield is an auto opt in scheme when we reach 40. The basic plan pays out $400 per month for up to 72 months (6 years) in the event of disability if we cannot perform 3 out of 6 daily living activities. There are supplement plans which offer higher monthly payouts for life also. Aviva, NTUC income and great eastern provide the supplement plans. You can refer to MOH website here for more information on Eldershield. Starting from 2020. there will be a new enhanced Eldershield which is renamed as Careshield life. All those born on or after 1980 will be included in this compulsory scheme which pay out $600 pr month for life in the event of severe disability. I've written a separate article for Careshield life which you can read here. For disability income insurance, it can be bought separately and can possibly replace our income in the event of disability. The premiums may be quite high so make sure you can afford it before purchasing. The second and most important thing we can get for ourselves is to purchase an insurance with critical illness and total permanent disability coverage. There are probably about 36 critical illness covered which includes stroke, heart attack and many of the different cancers. A Straits times article recently wrote about a study which suggest that working adults in Singapore have inadequate cover if critical illness strikes. The study by Life Insurance Association (LIA) showed that an average working adult in Singapore only has critical illness cover of just $60,000 which is well under the LIA recommendation of $316,000. I would think the problem is people generally buy whole life policies and the premiums are too much if we want to get a high coverage. Buying a term insurance with critical illness will be much more affordable. It probably will only cost around $1000-$1500 a year to be insured sufficiently with term insurance for those 30 years old and below so its good to get some term insurance if you're still young. This ends the 2 part series on creating awareness on the issues of long term healthcare cost in Singapore. The government actually has a 3rd enabling masterplan to support persons with disabilities but how long all these will get implemented is another question. The ageing population problem in Singapore is real. Disability is real too and that's why we have all the wheelchair accessible initiatives all around the nation now. I understand that there is an ongoing review for the various support schemes under the health ministry. I feel that some of the middle class families still fall through the cracks when it comes to support for unforeseen circumstances. Family members becoming disabled is one of them and this often comes with huge long term healthcare financial burden to deal with. Hopefully we will see more support along the way as our society progresses. Nevertheless, it is impossible for the government to support everyone as it would mean the younger generation have the bear the cost instead. There are pros and cons of getting a BTO vs a resale flat. In Singapore, a BTO flat is heavily subsidised by the government and we try our luck to ballot for a chance to select a unit. These flats are build to order (BTO) meaning those who managed to get a unit will have to wait about 3-5 years before they can collect the keys to their flat. I would think most people will go for the BTO option first if they have the time to wait. However, even if you have the time to wait doesn't mean you will have the luck to get one of the units. The next best choice will be to go for resale flats which will ultimately cost more as compared to a BTO flat. BTO flats are launched every quarter which means we have 4 chances a year to try our luck. I have tried since 2016 but till now I didn't manage to get a good number. When people say its hard to get a good location through BTO, it is really true. Non-mature estates such as Sengkang & Punggol are generally easier to get precisely because the demand is not so high there. I did managed to get a queue number to select a flat in Sengkang but in the end decided to give it up as after consideration for the long term, the location is still important for me and my partner. The process to getting a BTO flat can be quite long so if you're planning to get married in the next 3 years, then its better to start your BTO process earlier. The balloting process is fuss free. It can be done online and no documents need to be submitted in the early stages. You just have to fill in some information of yourself which takes less than 10 minutes. Have you wondered how the BTO balloting process work and how people are chosen to select a flat? Let me try to explain it based on the information I managed to find. Firstly, first timer applicants will always have the priority in the balloting process. 85% of the 4/5 room flats and 70% of the 3 room flats are set aside for first timer applicants for non mature estates. For mature estates, 95% of the 3/4/5 room flats are set aside for first timers. If you think that its easier for first timers to get a unit in mature estates since 95% of the flats are set aside, its not true as there are many other first timers also aiming for a flat in the popular mature estates. How the BTO balloting process works is unclear to many as HDB did not really state clearly how it is done. I tried to find as much information as I could and summarise my findings in this post. In essence, there is no way to get any advantage from the balloting process. HDB tries to ensure fairness to all parties in this process. As a first timer, even though you get to enjoy priority in getting a queue number, it does not mean you will get a good queue number. I will explain this in the next section below. Why its so hard to get a good queue number? The balloting process is completely random and it very much depends on our luck in order to get a good queue number. After the application closes, HDB will first shortlist first timer applicants based on the percentage of flats set aside for them. Then, HDB will shortlist second timer applicants based on the percentage of flats set aside for them. After the applicants are shortlisted, they will all go into a computer system and be assigned random queue numbers. Both first timers and second timers are in this pool. This means that even if you are a second timer applicant and you managed to get shortlisted into the ballot pool, you may still get a better queue number than a first timer. There are also other priority schemes. The 2 main schemes are the Parenthood Priority Scheme (PPS) and the Married Child Priority Scheme (MCPS). For BTO, 30% of the flats are set aside for PPS and another 30% set aside for MCPS. Let me explain more on these 2 priority schemes. The PPS is for those who have kids or are going to have soon. "You must be a first-timer applying as a married couple. In addition, you must either be expecting your first Singapore Citizen child at the time of your application, or have at least 1 Singapore Citizen child aged below 16 (natural offspring from the lawful marriage or legally adopted)." The MCPS in essence is for those who apply for a flat to stay with their parents or near their parents. For those who apply to stay with their parents, the parents name must be included in the application. For those who apply to stay near their parents, as long as it is within 4km of your parents house, you will be eligible for it. Do note that for staying near parents, there is a restriction that your parents must continue to live in the same town or within 4km of your new BTO flat for 5 years after you collect your keys. For more information on the priority schemes, you can refer to HDB website here. Now, let's get back to the balloting process and why its so hard to get a good queue number. As a first timer applicant, 70%-95% of the flats are set aside for you depending on the type of flat and the location. Within the 95%, 30% are set aside for PPS and another 30% for MCPS. Now, with the above scenarios, we can predict how the ballot process will work. This is just based on my understanding but it may not be exactly how it is done. First, HDB will shortlist applicants up to 100% of the flat supply. There are 1000 flats available in this instance. PPS applicants will be shortlisted first. 400 PPS applicants are shortlisted for 300 units set aside for them. This means that 100 PPS are out of the shortlist. MCPS applicants will be shortlisted. 400 MCPS applicants are shortlisted for 300 units set aside for them. This means that 100 MCPS are out of the shortlist. Other first timer applicants will be shortlisted. There are 400 other first timer applicants plus 100 PPS who failed in step 1 and 100 MCPS who failed in step 2. They will probably be shortlisted in this step 3 as well. This part is unclear as I could not get any information from HDB. If the PPS and MCPS are put in this pool as well, we have a total of 600 applicants who will fight for 350 units. This means 250 first timers (regardless of priority schemes) will be out of the 1000 queue number. Now, second timers will be shortlisted. 800 second timer applicants will be shortlisted for 50 units set aside for them. This means that 750 second timer applicants will be out of the shortlist. As a second timer applicant, you must be really lucky if you can get shortlisted within the 100% supply of flats. The final step is all those who are shortlisted (first and second timers) will now be assigned random queue numbers. A first timer applicant can still get the last queue number 1000 and a second timer applicant can get queue number 1. Those who are out of the 1000 flat supply will still be assigned queue numbers as HDB gives out queue numbers for 300% of the flat supply. By now, if you managed to follow the above scenario, you would have realised that the balloting process is completely based on luck to get a good queue number. It doesn't matter if you applied under any priority schemes. The priority schemes only increase your chance of being assigned a queue number but not your chance of a good queue number. Even though the ballot process is completely based on luck, there are still ways to increase our chance to get a BTO flat. Firstly, we can consider non mature estates which are not too high in demand. If you don't mind that its far from the city and not near the MRT, applying for a flat in a non mature estate will definitely increase your chances of securing a unit. The prices are much cheaper too. A 4 room flat in a non mature estate cost about $300K to $350K while the same flat in a mature estate can cost more than $500K. Secondly, if you still want to get a BTO in a good location, you can consider applying for a 3 room flat instead of a 4 room or larger flat. The demand for 3 room flats is definitely much lower even in mature estates and I think it is probably due to the fear of not enough rooms if you have more than one kid. However, I think 3 room flats in a good location is still a good consideration at least for a start. The price of 3 room flats in good location is also much lower than a 4 room flat. If all else fails and there is just no luck to get a BTO, then the plan will be to get a resale flat. Resale flats although they are more expensive, there are still grants available. The resale grant for first timer families is currently $50,000 and an additional $20,000 if you stay within 4km from your parents. A quick check on the price of resale flats in non mature estates can be selling as high as $500,000 for a 4 room flat near Buangkok MRT. If the flat is further away from the MRT, it'll be about $50K to $100K lesser. For mature estates, we should be looking at around $500K to $600K for a 4 room flat. There is also a visible advantage when buying resale flats. We can view the actual flat itself before committing to buy the flat. This cannot be done with a BTO flat. However, resale flats tend to be older and needs more renovation as compared to a new flat. This can be overcome by buying a newer resale flat (5-10 years old) with good renovation already done by the previous owner although there is almost certainly a premium price to be paid for this kind of flats. Buying a resale flat will let us be able to move in almost immediately as compared to the waiting time of a BTO which can range from 3 to 5 years. If we buy a resale flat and take the grants available, we will automatically be considered as second timer if we ballot for a BTO in the future. 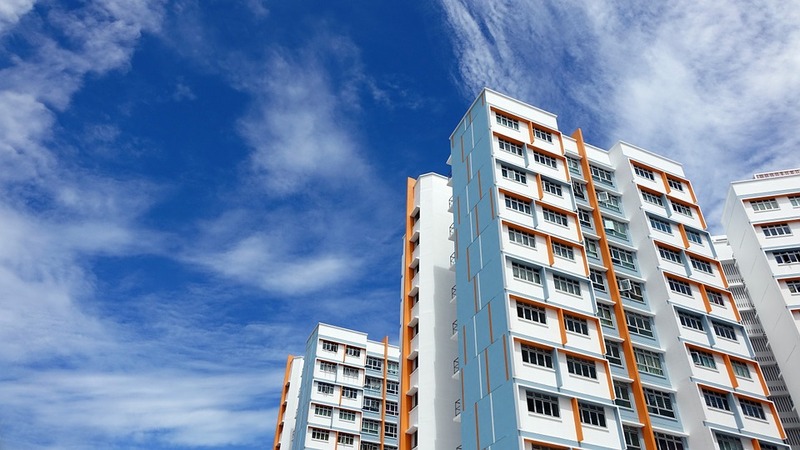 If you still want to be considered as a first timer for BTO even after buying a resale flat, you have to make sure you do not take any CPF housing grants when you buy the resale flat. In this way, you can still have a higher chance of balloting for a BTO flat while staying in your resale flat. However, do take note that the 5 years MOP will still be applicable before you can sell your resale flat and buy another HDB. Buying a flat can be a long process so opening up this conversation early with your partner is important. There is much planning to do in terms of deciding on a location, planning for the finances and also deciding whether to go for a BTO or resale flat. If you and your partner decides to go for a BTO flat, it is always better to apply earlier as it can be quite long before you can get your desired flat. If you fail to get a BTO or running out of time, resale flat is definitely another option worth a consideration. Nevertheless, having a stable relationship before committing to a flat purchase is important too since this is a long term commitment with great financial responsibilities. 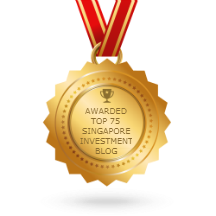 The financial blogging community is not a very big one in Singapore. Most of us do know each other in the real world. This year, you'll have the opportunity to hear from some of the financial bloggers where they will share about how they invest their personal money and also their journey to achieve financial freedom. "They should be active investors who are willing to share the same strategy that they are using to grow their own money and portfolio." Stanley is currently the chief editor of Value Invest Asia. Over the course of his career, he has written close to 2000 articles online, on investment education and market analysis. Stanley is the co-writer of the Asia-focused investment book: “Value Investing In Asia“. He'll be sharing about "Spotting growth stocks in today's market". James Yeo is the founder of Small Cap Asia, where he and his team aims to help investors get the best deals out of their investments. He is a financial analyst by profession and focuses on growth investing through small cap stocks. Brian is the writer behind foreverfinancialfreedom. He is currently pursuing his choice of financial freedom and he has a passion for dividend investing and loves traveling together with his family. I've known Brian for quite a few years now since I started blogging. His blog has been around much longer than mine. His strategy on dividend investing is definitely a solid one as he himself has managed to achieve a dividend income of more than 5 figures annually. He will be revealing "The Evolution of Dividend Strategy" and give you a peek to his current portfolio as well as bring you through real life stock case studies. Rusmin is the co-founder of The Fifth Person, and the co-author of the book 'Value Investing in Growth Companies'. 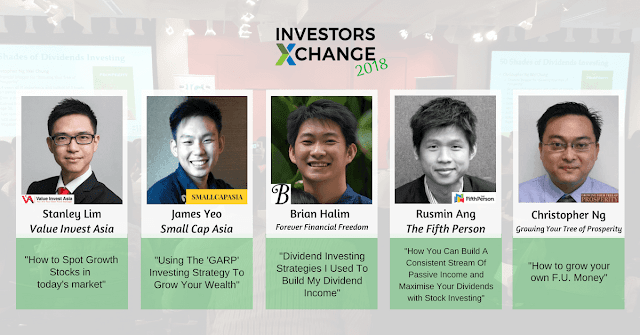 He had been featured on Channel News Asia and 938 Live multiple times for his views and opinions on how to invest successfully in the stock market. The Fifth Person shouldn't be an unfamiliar name in the financial blogging world. Rusmin is a down to earth guy who really has the passion for investing. I managed to meet and talked to him in one of SGX's dinner event just a few months back. He has picked quite a few stocks successfully and I believe his investing method works. He'll reveal: How You Can Build A Consistent Stream Of Passive Income and Maximise Your Dividends with Stock Investing. Christopher is the financial blogger behind the blog Growing Your Tree of Prosperity. He earned his financial independence at age 39 and has recently completed his Juris Doctor degree. Christopher was featured in Me and My Money sections in the Sunday Times, and has written about his journey in 3 popular personal finance books. I've known Christopher as a person who never gives up. Even after achieving financial independence, he quit his job and then went on to study law and recently just graduated. He's definitely a good speaker and an experienced investor too who has achieved his dreams. Christopher will be sharing how he attained financial independence at 39 using the concept of F.U. 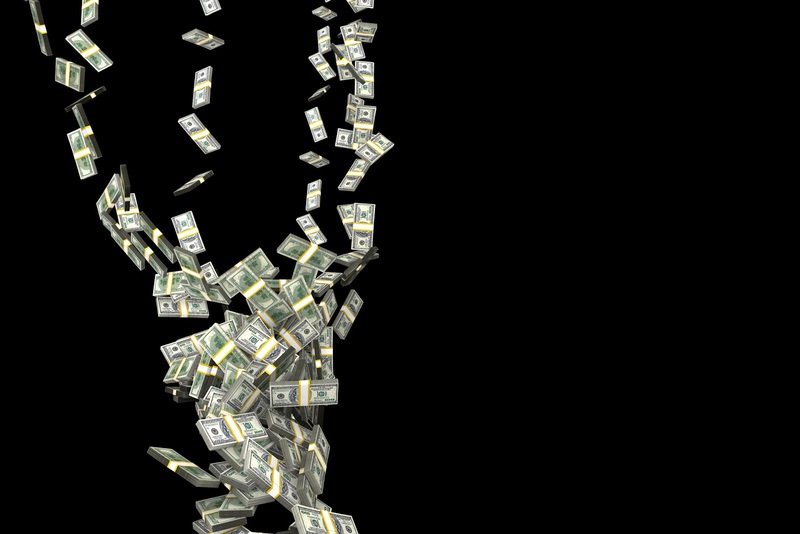 Money (Freedom Unlimited). P.S: I'll probably be there too to support my friends. If you're going for the event, feel free to drop me an email.